This article outlines the major provisions of the proposed regulations. If the proposed regulations are adopted in their current form, they only apply to transfers made after the final regulations are promulgated, and the most pervasive provisions of the proposed regulations, apply only to transfers made at least thirty days after the restrictions become final. The Department of the Treasury, Internal Revenue Service (hereinafter, “IRS”) released their long-awaited proposed Section 2704 regulations on August 2, 2016. The full text of the proposed regulations can be downloaded and read here. This article aims to outline the major provisions of the proposed regulations. As you read the article, keep in mind that the regulations, at the current date, are merely proposed and are not effective immediately. If the proposed regulations are adopted in their current form, they only apply to transfers made after the final regulations are promulgated, and the most pervasive provisions of the proposed regulations, apply only to transfers made at least thirty days after the restrictions become final. The IRS is holding a public hearing on December 1, 2016. Assuming the proposed regulations are ruled to be final on the first of December, they would go into effect thirty days after. It is of import to note that most proposed regulations, even non-controversial ones, are not finalized for two years of more. 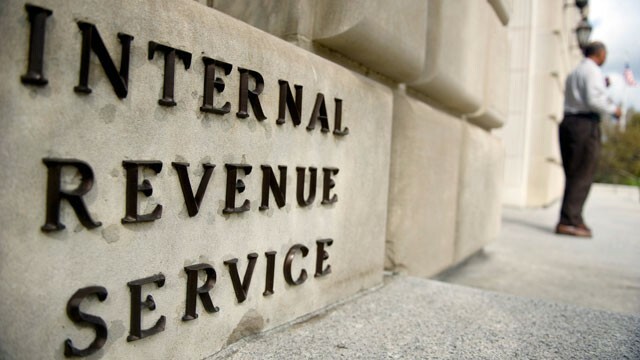 These proposed regulations appear to be quite controversial, and the IRS will, no doubt, receive many comments for consideration (including one from NACVA’s Legislative Task Force), which presumably will mean that the final regulations will not be issued any time soon after the December 1, 2016 hearing. Section 2704 was originally enacted in 1990 as part of Chapter 14 of the Internal Revenue Code. The goal was to limit discounts for certain family partnership or LLC interests that are transferred to family members. Section 2704(a), titled, “Treatment of Lapsed Voting or Liquidation Rights,” treats certain lapses of voting or liquidation rights as deemed transfers if the family controls the entity both before and after the lapse. An example of such a lapsing right would be the following. Assume that a family LLC is 100 percent owned by a family (husband, wife, and their children). Father and mother own all of the voting membership interests. LLC agreement contains a provision stating that when a voting member dies, their interest is converted to a non-voting membership interest. Father dies. Question becomes, what should the valuation analyst value—a voting membership interest or a non-voting membership interest. Under Sec. 2704(a), the analyst should value a voting membership interest. Section 2704(b), titled “Certain Restrictions on Liquidation Disregarded,” provides that any “applicable restriction” is disregarded in valuing an interest in a corporation or partnership that is transferred to a family member if the transferor and the family members control the entity. An “applicable restriction” is any restriction that: (i) effectively limits the ability of the corporation or partnership to liquidate; and (ii) the restriction lapses (entirely or partially) after the transfer or the transferor or family members can remove the restriction (entirely or partially), but an “applicable restriction” does not include “any restriction imposed, or required to be imposed, by Federal or State law” (or commercially reasonable restrictions imposed by unrelated persons in a financing transaction). Regulations interpreted the “imposed, or required to be imposed, by Federal or State law” exception to mean that default restrictions on the ability of an owner to withdraw from an entity could be considered, even though the family could have overridden those restrictions in the governing documents. Many states have a default rule limiting the ability of a limited partner or member of an LLC to withdraw, and the IRS has stated that the default rule in the regulations has made Section 2704(b) rather toothless. Section 2704(b)(4) gives the IRS authority to provide in regulations that other restrictions may similarly be disregarded in valuing transfers of interests in the entity if the restriction merely reduces the value for transfer tax purposes but does not ultimately reduce the value of the interest for the transferee. The proposed regulations will dramatically reduce the ability to apply valuation discounts to intra-family transfers of interests in entities. It should be noted that the proposed regulations apply to both holding and operating companies, so long as each is owned and controlled by a family. Many commentators within the estate planning industry felt that the proposed regulations would only apply to holding companies, so it came as a bit of a surprise to read the IRS’ document and find out that the proposed regulations are intended to apply to all intra-family transfers. Covered Entities. Covered entities are broadly defined (for example, including LLCs regardless of whether they are disregarded as separate entities for federal tax purposes), and control rules are described for various types of entities. • Assignees. Transfers to assignees may result in lapsed liquidation or voting rights under Section 2704(a) and will be subject to the “disregarded restrictions” rules. Death Within Three Years. Transfers that result in the transferor losing a liquidation right may be subject to a three-year rule, requiring inclusion of the liquidation value on the transferor’s gross estate at death if the transferor dies within three years of the transfer. The phantom value included in the gross estate (generally speaking, the value attributable to being a minority or non-controlling interest or being less than a percentage ownership required to force liquidation of the entity) would qualify for the marital or charitable deduction. State Law Default Restrictions Not Considered. Default restrictions under state law (such as withdrawal restrictions that can be overridden by the family) can no longer (under the proposed regulations, assuming they go final in their current form) be considered in valuing transferred interests. Disregarded Restrictions. The most far-reaching aspect of the proposed regulations is the creation of a new category of “disregarded restrictions,” which effectively values transfers of interests in family-controlled entities as if the holder of the interest has a put right to sell the interest to the entity within six months for a value at least equal to the net value of the entity in return for cash or property. The proposed regulations do allow for payment by note, but only in certain situations. Further, the note cannot be at the Applicable Federal Rate (“AFR”), as the interest rate must be a market rate. Also, keep in mind that the note must be no longer than a six-month term. Unrelated Parties Generally Not Recognized for Removal or Disregarded Restrictions by Family Test. In determining whether the family can remove “disregarded restrictions,” the interests of unrelated parties are not considered unless unusually stringent conditions are satisfied (which will generally not be the case). Commercially Reasonable Restrictions for Active Business Entities. In light of the very broad scope of the application of the new provisions, a “commercially reasonable restriction” exception for entities with trade or business may become very important. Valuation Uncertainties. Numerous uncertainties exist regarding the manner of determining the values of transferred interests that are subject to the new rules, but lack of control discounts will be significantly reduced or eliminated. Marital and Charitable Deduction. Values will generally be applied consistently for both estate inclusion and for deduction purposes (for the marital deduction and the charitable deduction). Determining the “minimum value” involves considerations beyond simply the liquidation value of the entity’s assets. An appraiser must value the fair market value of the subject company; that is the fair market value of the “property” owned by the company. Does this value include unidentifiable intangible assets implied by a capitalization of earnings or unallowable personal goodwill or self-created intangibles? The IRS definition and the standard of minimum value (in the proposed 2704 regulations) appear to conflict with the regulations under Sections 20.2031-2, 20.2031-3, 25.2512-2 and 25.2512-3 to which the IRS refers. Should the appraiser assume that all owners have identical six-month put rights, when valuing one interest in the business? Even if the value should be determined assuming that only the transferred interest has a six-month put right for cash or property, would the subject company have to keep cash and assets on hand to fund the liquidation when requested, thus reducing available capital or increasing ongoing borrowing requirements? An appraiser would be faced with the following questions. First, and most important, “What is a company worth in which all of the shareholders can (in theory) take their share at any time?” This leads to the issue of comparables. Where would an appraiser search for such comparables, since no such third-party operating business exist? This leads to a newly-termed “lack of continuity discount,” and the question of where that would be applied? Let us assume a significant minority of the company shareholders prefers cash, while the majority is content to hold shares. If suddenly one-third of the family wants to be cashed out, what will happen? Most companies will not have enough spare cash to honor but a small fraction of this demand. Accordingly, they would have to borrow, either from a bank or provide the sellers with a note at a market interest rate. Meanwhile, the company’s existing bank lender will be none too happy about the redemptions and increased subordinated debt. In fact, such redemptions may well be prohibited in the company’s existing loan agreements. If such is the case, is this an acceptable restriction under the proposed regs? Assuming they can borrow for this purpose at all, it would push the company into a higher risk category since these borrowings will diminish the company’s ability to borrow for working capital or capital expenditure needs. The greater risk means the company’s cost of equity must also rise. These two negative developments will drive up the company’s cost of capital and drive down its value. Of course, this is a fictional scenario since no operating company, family-owned or otherwise, has ever enacted such a nonsensical policy. So, in reality, if the proposed regs are finalized as produced, valuation for tax purposes will have no connection to the reality of values in the marketplace. Taxpayers will be taxed on a theoretical value that is impossible even in the theoretical world. A company which gave its employees a put right as the regs suggest, would probably have to book this contingent liability similar to an unfunded pension liability. It would devastate the company’s balance sheet. William H. Frazier (Stout Risius Ross, Inc.), Musings on the Theoretical Redemption Rights in Proposed Regulation 163113-02 (August 8, 2016). Second, in valuing the holder’s interest in the entity under generally accepted valuation principles (even with the assumed six-month put option at minimum value), Prop. Reg. Sec. 25-2704-3(f). The major impact of the abovementioned valuation process will be to restrict (or even eliminate in some cases) a discount for lack of control (“DLOC”) if the owner is deemed to have a six-month put right at the “minimum value.” It seems reasonable from a theoretical standpoint that appraisers would be able to substantiate some level of DLOC, even if just for lack of control over day-to-day operations and for a six-month delay in receiving the liquidation payout. Even though the holder is deemed to have the ability to liquidate its interest, lack of marketability discounts (“DLOM”) would still seem appropriate, in both of the abovementioned steps, to the extent that marketability delays would exist in selling the entity’s assets (Step 1—minimum value determination) or in selling the transferor’s interest in the entity (Step 2). A good example of the posture of the United States Tax Court’s posture on a similar issue can be seen in Estate of Jameson v. Commissioner, T.C. Memo 1999-43, in which a DLOM was allowed when valuing a 98 percent interest in a corporation, based on the nature and marketability of the corporation’s assets. A low marketability discount was allowed because the major assets in the Jameson case—timberland, “would sell within a few weeks after being placed on the market.” The Jameson case was reversed by the United States Court of Appeals for the Fifth Circuit on other grounds, 267 F.3d 366 (5th Cir. 2001). In determining the value of the transferred interest in the second step, the DLOM may be lower based on the assumption that the transferor has a six month put right at the minimum value—thus having a deemed built-in purchaser. The size of the DLOM in the Step 2 process may depend on the size of the interest being valued, with the size of the valued interest having the traditional inverse relationship with the applicable DLOM. Further, marketability concerns will undoubtedly spill over into the Income Approach, namely cost of capital assumptions (specifically the company specific risk factor). Another discount, which was mentioned above, is the “lack of continuity” discount that would apply if the company is actually restructured to comply with the safe harbor rule, which would give all owners a six-month put right. Even if all owners do not have put rights, the valuation of the net value of the entity would seemingly take into consideration the amount of capital that would have to be set aside to satisfy the transferor’s deemed six-month put right. The discounts discussed above relate to the traditional estate planning techniques. The author’s early discussion with thought-leaders in estate planning indicate that, regardless of the proposed regulations that are put into final form, planners will deploy new estate planning techniques that will result in similar results for their clients, such as creative techniques utilizing an Incomplete Gift Trust, which completely avoids IRC Section 2704. Valuation analysts are urged to read, and understand, the proposed regulations, as, at a minimum, they will add a large layer of complexity to valuations prepared for gift and estate tax planning purposes.